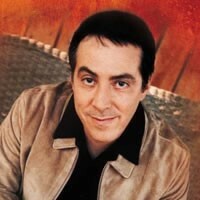 In 1998 Fernando Ortega won a Dove Award for his bluegrass-flavoured "Children Of The Living God", in 2000 landed the Inspirational Album Of The year award for 'Home' and in 2002 was one of the recipients of a Dove for his contribution to the multi-artist 'City On A Hill'. But in 2009 Fernando made a major departure from the "CCM star" route and joined the Christ The King Anglican Church in Albuquerque, New Mexico as music minister. In 2011 he released the 'Come Down O Love Divine' independent album which was praised by his legion of fans and by the critics. Fernando's Wikipedia entry described his music as "embracing country, classical, Celtic, Latin American, world, modern folk and rustic hymnody." With 'Come Down O Love Divine' one could add Anglican hymnody to the list. Fernando was quizzed by broadcaster Mike Rimmer about his latest musical direction. Commented Fernando, "Isn't that weird, a Mexican Anglican? When Ruby, my daughter, was born, we were attending an Anglican church here in Albuquerque, and nobody in the church knew about what I did for a living. That was part of what drew us to the church: nobody there that was into contemporary Christian music, so we could go and just be part of the church. Then slowly people found out that I was a musician; I got asked to play a couple times. They finally asked if I would consider becoming the worship leader there. It was perfect, because I was trying to get off the road, because my daughter had just been born, and I didn't want to be gone from her, I didn't want to miss anything. It was like God opened this door. We've been part of this Anglican church for a year and a half now. Anglicans who are listening take it for granted - but we've never, as American evangelicals, ordered our worship or our devotional experience according to the narrative of Christ's life: Advent, Christmas, Epiphany, Easter, Lent, Holy Week. Every week has a theme, so I'm finding hymns, and having to write hymns, that are specific to those themes every week. That's just not part of evangelicalism, it's a very general sense of worship. You know how modern worship is: 'Lord, I love you, I bless you, I thank you for your grace'. But you don't have songs that are specific to holy days, like the Transfiguration or something like that - you don't go find contemporary praise songs that are about that. So I've ended up having to write those songs, or find old, traditional songs. It's really influenced my writing." The reviewers of 'Come Down O Love Divine' all agreed on the album's superlative chorale work. Said Fernando, "That choir is fantastic; they're the Milikin University Choir Ensemble in Decatur, Illinois. These kids showed up to sing with their shorts and flip flops and backpacks, chomping on gum. I thought, 'Oh my gosh, here we go!' Then they opened their mouths, and any one of them could sing me out of the room - they were unbelievably talented kids. There are so many worship wars going on in church - it's been going on since the '80s at least - where people do away with the choral choir from the church and just have the praise band, add smoke and lights and all that stuff. I was just trying to demonstrate that it's still a strong voice, that choral voice, and the harmony singing like that. It blends perfectly well with guitars and percussion and piano, whatever. Maybe the next record will include a lot more of that. I loved it, I loved the sound." Did Fernando feel that there was a move away from modern worship to more traditional forms in some circles? "I think there are so many incredible, wonderful modern worship writers, but I do find, week to week, when I'm searching for something specific - like the Transfiguration, or something for Lent, or about the Holy Spirit - there's nothing out there, it's all very general. I played at Wheaton College outside of Chicago last year. I did three days of chapel there: I was the guy. I was scared to death. I had to deliver a half hour chapel, three mornings in a row, plus teach classes, and then meet with students. I love hymns, I love traditional music; I sat down and starting singing a couple of hymns, and these kids stood up and sang their guts out. I met with some of the student leaders for lunch, and I asked them, 'What is the preference on campus these days as far as Christian music?' A lot of them just said they don't listen to it, but they said, 'We appreciate anybody who would get up there and teach us a beautiful hymn that we have not heard before'. So that opened the door for the next three days, and I taught them a lot of hymns that are not sung anymore. One of them was 'Come Down, O Love Divine', which is the title of the record. There are a lot of people that are looking for that kind of intentionality in worship music." Making an album as an independent artist after years of recording with the major Christian labels brought the singer/pianist new challenges and demands. He said, "There was a lot more different kinds of work to be done than I ever had to do before. And the process - because there was a fraction of the money involved - I had to get better at writing Pro-Tools myself, setting up microphones, rolling mic cables, figuring out acoustics of rooms. So this was quite a bit different. You own so much more of those little details like micing the piano. In the past I would sit there and wait till the engineer and producer come up with a sound they like then you go in and play. Here, it's just me in the room. My producer was there, but it took us three days to get the sound we wanted. We just played samples, play it back on my stereo, run back to the piano, move the mic two inches to the left. So then you get to really be intimate with the sound. When it comes to mixing, you remember exactly what you're going for. I love that part of it." After a string of inspirational radio hits, with a particular worshipful focus, in 2004 the singer/songwriter recorded the pop rock orientated 'Fernando Ortega' album for Curb Records. Cross Rhythms enthused that it "wouldn't sound out of place on the Radio 2 playlist." But it didn't sell. Ortega admitted, "I forgot about that record for a long time, because I was really disappointed - not that I wanted mainstream success as much as that they were good songs. Now I have a two and a half year old daughter, and at bath time she always asks for that record. She'll say, 'Play "Coyote"' or 'Play "Dragonfly"' or 'Play "California Town"'. So I did listen to it a lot in the last year, then fell into the depression again - I'm just kidding. But I really liked those songs, and I loved writing it. It's very vivid in my memory, driving from my house to the Capitol Records building and recording there - incredible musicians that were on it. That was the most monumental effort I ever put into anything. So I wish it could've been something." 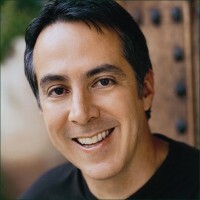 First saw Fernando in concert at Calvary Chapel of San Jose in the early 90's. We the children of a family friend, and when we met Fernando, he made time to greet them, encourage them. That's what his music has been to our family, an encouragement for so many years. We've seen him in concert opening for Twila Paris again in San Jose, then later at Mount Hermon Christian Conference Center near Santa Cruz. We thank God for Fernando's heart for worship. Thank you, Fernando for your diligence in song writing and performing. You've truly touched our lives. reading so many outstanding, heart-felt messages about Fernando, my story is along the same vein. I first saw him wth Ann Graham Lotz at Women of Faith in Cleveland and purchased 3 of his cd's. Being diagnosed bipolar 6 years ago with 30 years of mis-diagnosed, I began to experience the extreme highs (along with my Sanguine personality) and the extreme lows. Having 11 surgeries - two major, the last one in October 2013, the deepest, darkest time of my life - nothing helped. In April I went to see him in Cleveland - I felt like every word, every comment , his beautiful music surrouded me and I determined to get out of the darkness. At home I rediscoved the 3 cds - bought an IPod to load them on and they are all I have listened these past 6 weeks. Such a blessing. Thanks so much for this! I love Fernando's music and ministry. Will be eager to hear the album, and have found over the past ten years that youth LOVE the hymns! Very thankful for Brother Fernando's obedience to The Holy Spirit's leading.